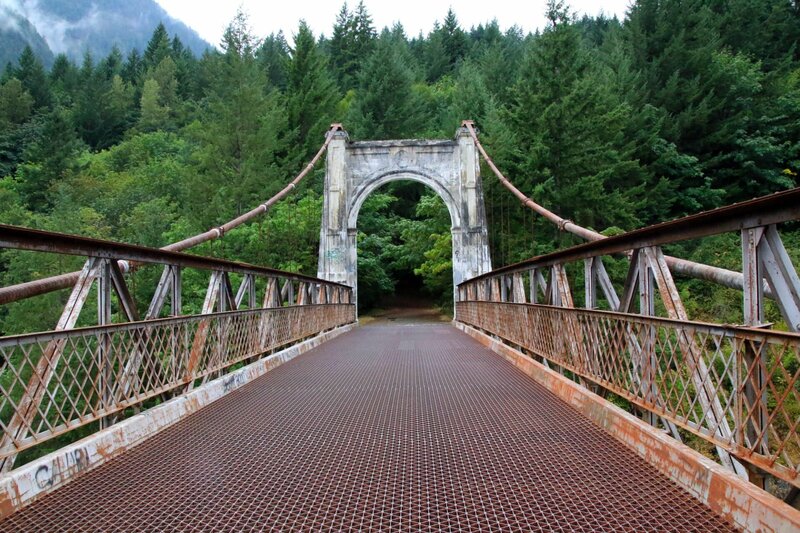 As of December 20, 2018, the new Seymour River Suspension Bridge is open and once again, the hiking and mountain biking trails on the east and west sides of the river are connected. This includes trails such as the Fisherman’s Trail and the hiking route connecting multiple trails known as Two Canyon Loop. There has been no crossing at this point in the Lower Seymour Conservation Reserve since the former Twin Bridge collapsed in 2014 after a rock slide blocked the river just down stream. While hiking in November or December around Vancouver can be dangerous at higher elevations due to snow and less daylight hours, there are plenty of hiking trails at lower elevations that are usually snow-free. 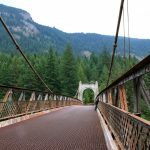 Some of the best hiking trails in Manning Park, including the Lightning Lake Loop, Lightning Lakes Chain Trail, Heather Trail, and Mount Frosty. The Glorious Mountains of Vancouver’s North Shore: A Peakbagger’s Guide details all of the North Shore mountains, providing information on the route and history of the region. The city of Chilliwack has plenty of incredible hiking trails, including these top 5 hiking trails that you should try. 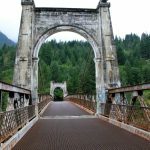 For those looking for a long, scenic day-trip along a rugged forestry road into the remote wilderness can explore Nahatlatch River, Mehatl Creek Falls, and Grizzly Falls west of Boston Bar in the Fraser Canyon. 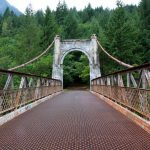 Located just an hour’s drive from downtown Vancouver, here are 6 things that we love about hiking and enjoying the outdoors at Buntzen Lake. The Sunshine Coast is an outdoor playground, filled with plenty of mountains, ocean views, creeks and hiking trails to explore. Located along the mighty Fraser River, Alexandra Bridge served as an important link connecting the Cariboo region to Fort Langley. 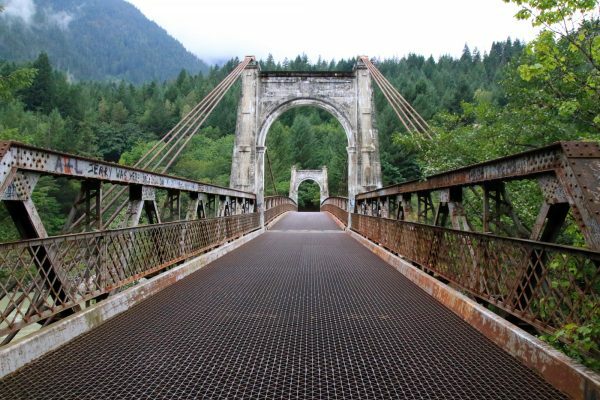 Today, the old Alexandra Bridge (the 2nd one built) provides a place for visitors to the area to stop and see an important piece of history in the area while also enjoying the incredible views of the Fraser Canyon. 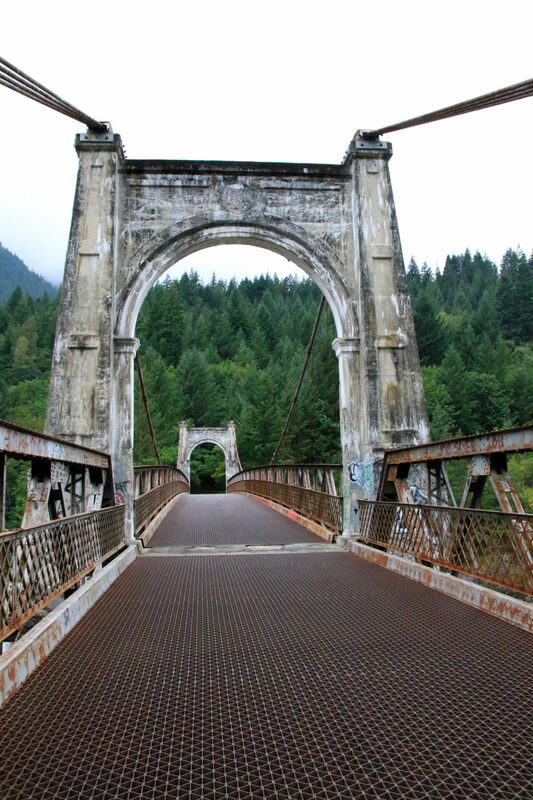 Alexandra Bridge along the Fraser Canyon. Alexandra Bridge Provincial Park has several picnic tables and outhouses. 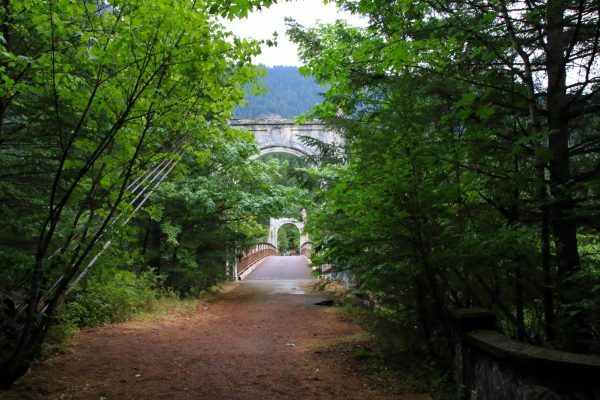 The trail to the bridge is about 500-metres each direction, with a gradual decline. The trail follows part of the old road before the modern day highway was built. 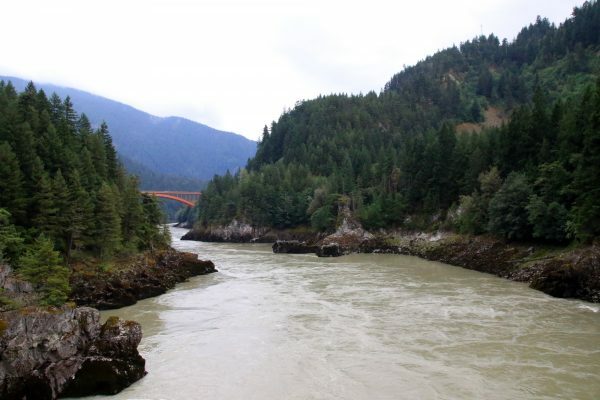 The Nlaka’pamux and Sto:lo First Nations have lived for thousands of years along the Fraser Canyon. There is evidence that an early bridge was built by local First Nations as a way to access important fishing areas along the Fraser. There were plans in the 1840’s to connect New Caledonia with Fort Langley. New Caledonia refers to the central and northern section of current day British Columbia before BC became a Province in 1871. The area was a district of the Hudson’s Bay Company, used for fur trading, and the original need was to build a trail connecting this region to Fort Langley, which was an important trading and shipping hub at the time. In 1858, a ferry service was established that connected the east and west shores to be used throughout the Gold Rush era. With more people flocking to the area during this period, it was a clear that a bridge was needed. View of the Alexandra Bridge from the west side of the Fraser River. 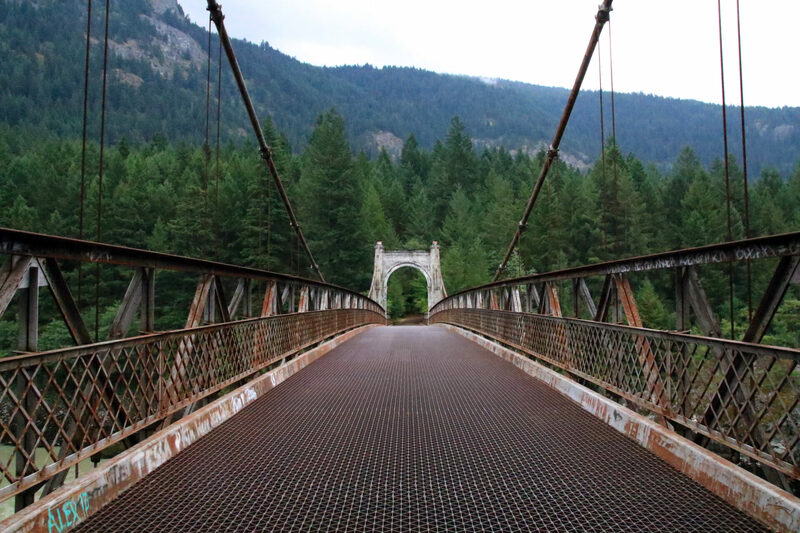 Led by Joseph Trutch, the first road bridge was constructed in 1861 and was part of the Cariboo Wagon Road that stretched from Yale to Barkerville. The construction of the road through the Fraser Canyon was a difficult task and, at the time, a major engineering feat. Much of the difficult and dangerous work along the route was done by First Nations and Chinese workers, many who lost their lives. The bridge was named after Princess Alexandra of Wales. The Fraser Flood of 1894 destroy the original bridge and the structure was never rebuilt. In the 1880’s, the Canadian Pacific Railway was built through the treacherous sections of the Fraser Canyons and several sections of the Cariboo Wagon Road were used for the tracks. 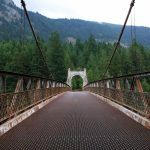 In the 1920’s, the rise of the automobile saw the Province of British Columbia invest in the construction of the new Cariboo Highway through the Fraser Canyon. The second Alexandra Bridge was built across the river, enabling vehicle traffic to pass through the area. The suspension bridge is still the same one that exists today today, although it was closed to traffic in 1964 after the Ministry of Transportation built the third Alexandra Bridge. A view from the Alexadra Bridge looking down the Fraser River towards the modern-day highway bridge. Alexandra Bridge Provincial Park was established in 1984 to provide access to the second bridge. 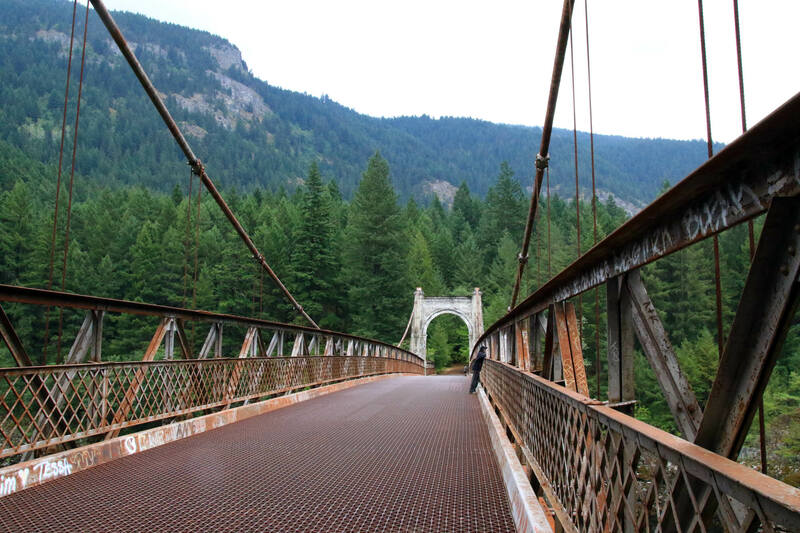 The park provides a timely location for a rest along the driving route through the Fraser Canyon and the trail is just 500-metres in each direction. The bridge provides some magnificent views of the rugged canyon below as well as the steep cliffs that makeup the area. Alexandra Bridge Provincial Park is located about 40km north of Hope and only 2km north of Spuzzum, just beyond the large bridge over the Fraser River. There is a fairly large parking lot, although the park can get busy during the summer months when many travelers pass through the area. A list of local hiking trails that are currently known to be snow-free. Make sure to double check the weather conditions before you go!